Soap dispensing washing-up brush with storage stand. Streamline your sink with this neat, compact design. A sturdy palm-held washing up brush features ann easy-fill washing up liquid reservoir that dispenses the required amount of soap with a simple push of the top button. 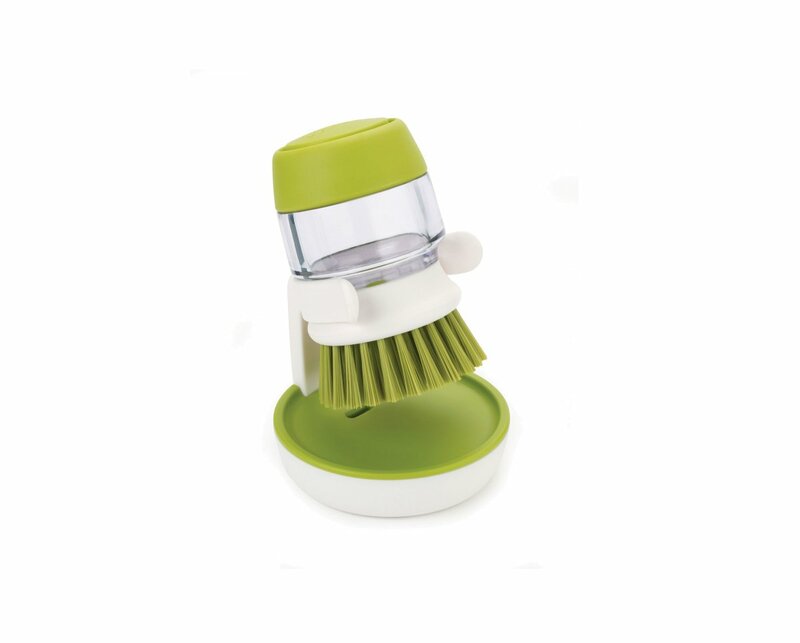 Its compact size makes it easy to control and ideal for cleaning pots, pan and dishes. The brush has its own convenient storage stand that allows it to drip dry hygienically and the whole thing dismantles for easy cleaning.